The highly anticipate second installment of the Breaking Point Mixtape Series is finally out and already the dancehall fraternity is a blaze of excitement as DJ. Dre from Shockwave International Sound based in Kingston Jamaica lays out the blueprint of the hottest dancehall Singles and Riddims set to reek havoc this summer season. Similar to Vol. 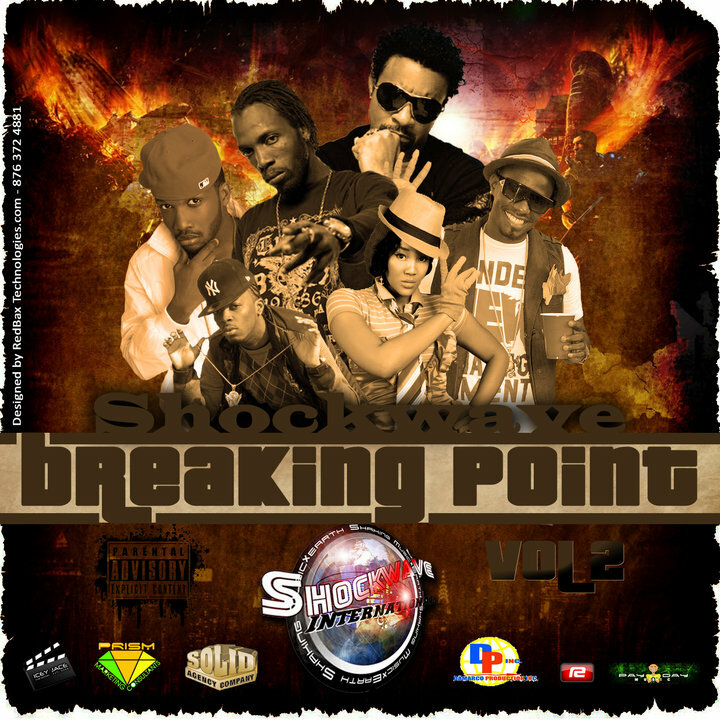 1 which came out late last year the World Premier of "Breaking Point Vol. 2" dubbed "The Height Of Greatness" began on social networks including Facebook, Twitter and Myspace and quick spread like wildfire racking in over 100 downloads in in less that 3 hours. According to creator of the Mixtape Series Chris "Icey Jace" Campbell "Breaking Point Vol. 2 The Height Of Greatness represents the voice of young dancehall artist who often go unnoticed. "Well the name "Breaking Point" actually represents what me and my co creator DJ. Dre of Shockwave International wanted to achieve. We wanted to help break the most promising young artists into the mainstream circuit by including them in a package that would give them exposure across the four corners of the earth. Last year Vol. 1 really set the bar high cause we got confirmed reports of the mix reaching cities in Africa, Canada, U.S and U.K markets so we knew we had to step up this time around". While Breaking Point Vol. 1 brought upcoming dancehall artists like G Whizz, T Nez, Wasp and Iyara into the spotlight, Vol. 2 is this time around reaching far outside the local shores of Jamaica. "On Vol. 2 we decided to give a New Jersey artist by the name of "Conflict" a place on the cover. Alot of people may not be familiar with his music locally but in the Tri-State areas of the U.S he has a huge buzz. We also payed special attention to artists like Ding Dong and the Raver Clavers, Tifa, Einstein, Boom Steppa, Wayne Marhsall who made a awesome comeback this year and finally Chedda from the Prism Marketing and UIM family, he is definitely a promising youngster" stated Campbell. The mixtape which is available for download on all the popular dancehall forums and blogs has some 92 tracks and features a smash intro reminiscent of a blockbuster film. Sponsors of the Breaking Point Vol. 2 mix include Redbax Technologies who designed the cover, PayDay Music, Damarco Productions, Solid Agency, Prism Marketing Consultants and Icey Jace Film Factory.